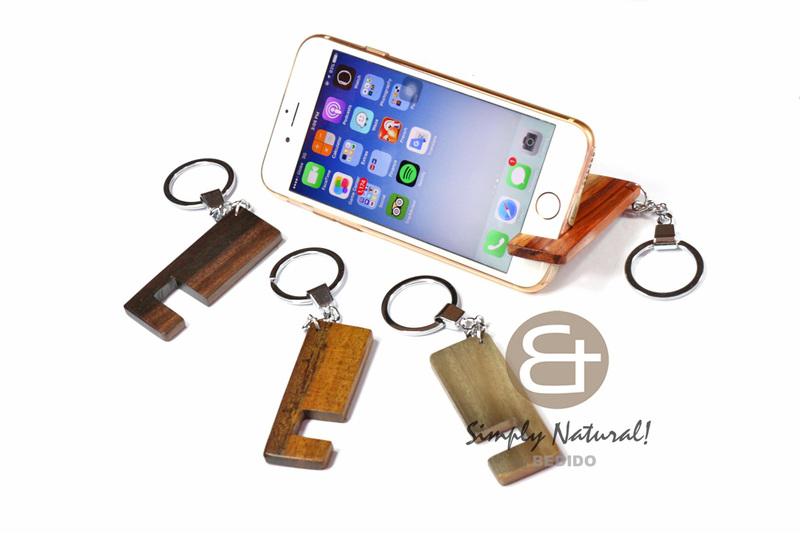 Remarkable handmade wooden stand keychain for smart phones like iphone and android. 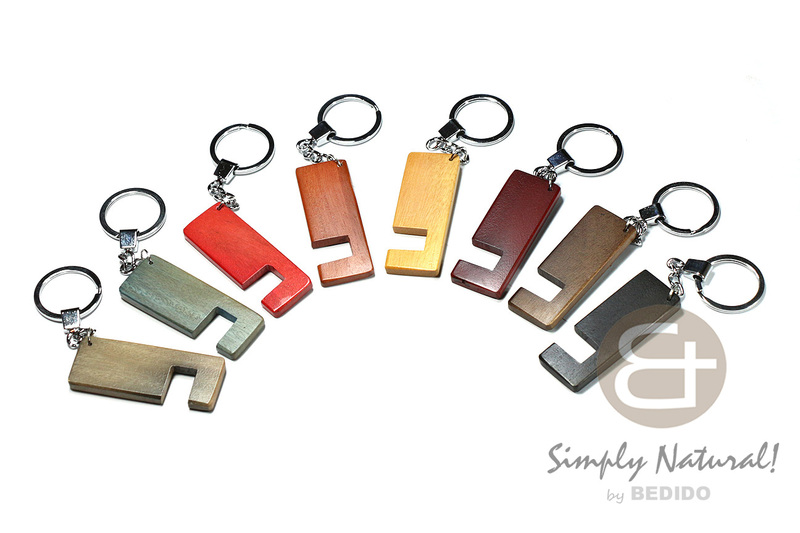 Different type of hard wood and natural white wood stained in different tones in red, blue, black, yellow, gray black, coffee, maroon, brown and green. 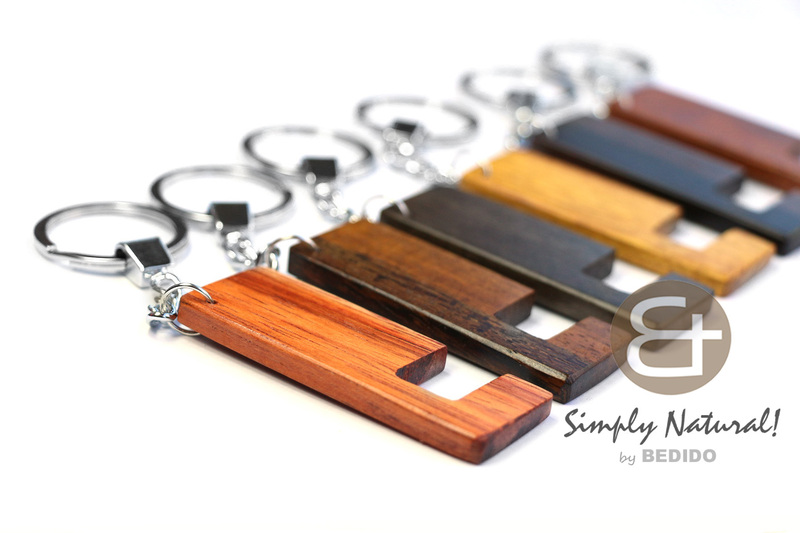 Elegant hardwood stand keychain in kamagong (ebony), robles, madre de cacao, graywood, bayong, and nangka. Top coated in semi-gloss on a chrome keychain. Made in Cebu, Philippines. 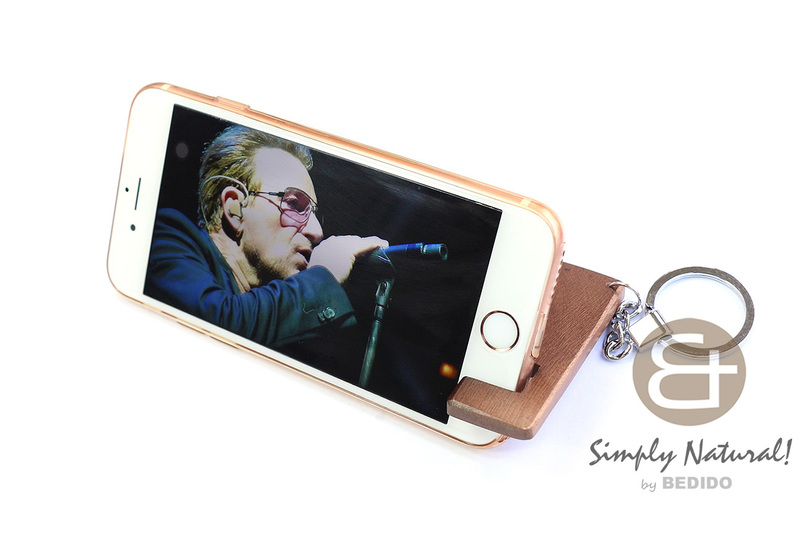 Watch your favorite TV shows, movies, news, MTV’s, fights and concerts conveniently on your phone with these brilliant idea phone stand. 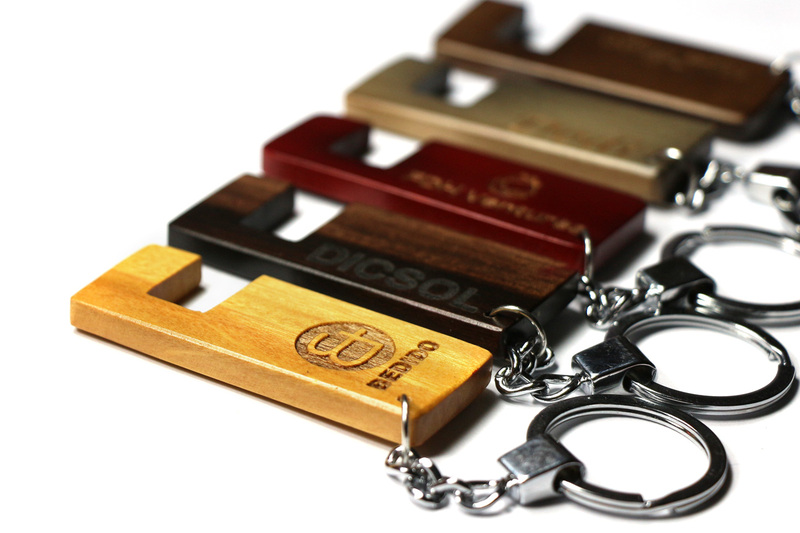 Great for company giveaways, personal name customization, corporate giveaways and as gift! If you have some designs on your mind. We can also laser etched your company logo. Just send us a message. 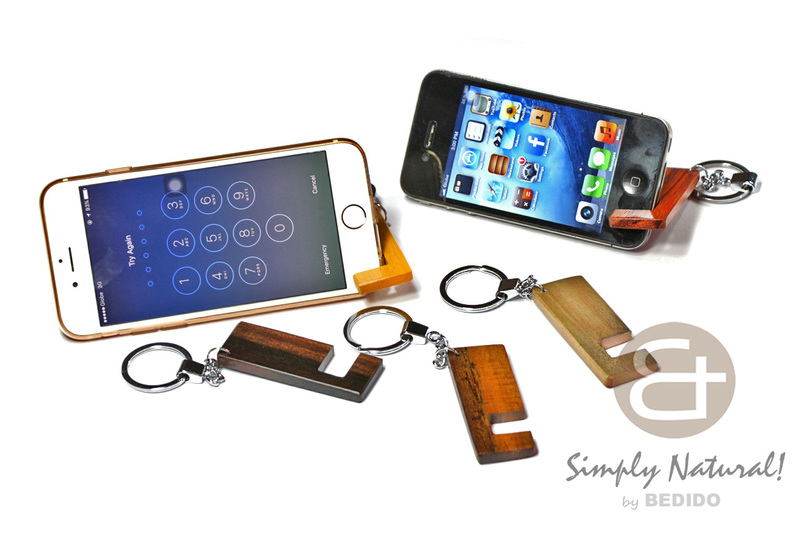 what is the price for your woodstand phone keychain and your wooden speaker box? What is the MOQ for branding for both?